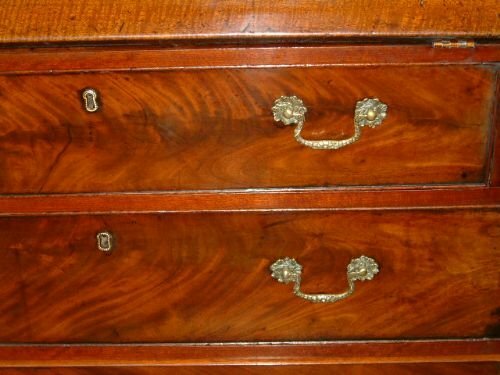 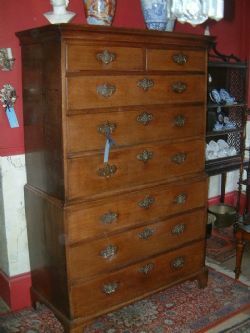 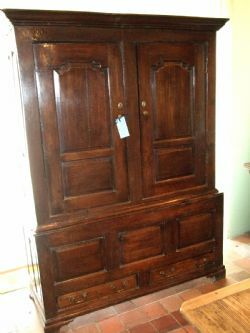 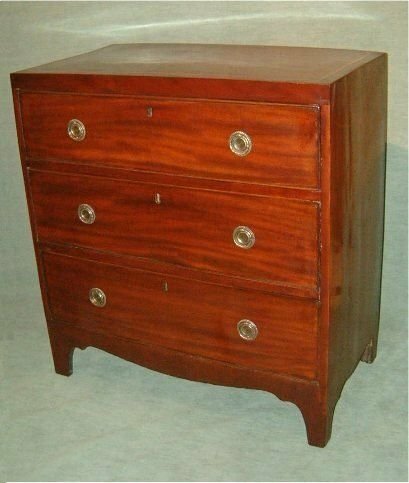 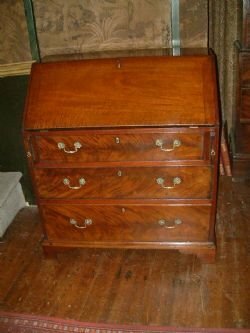 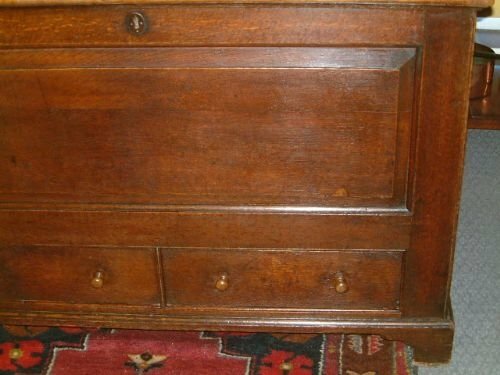 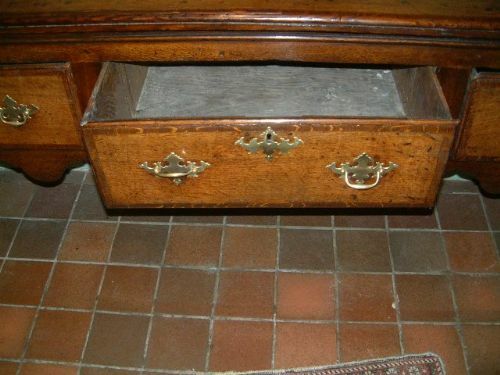 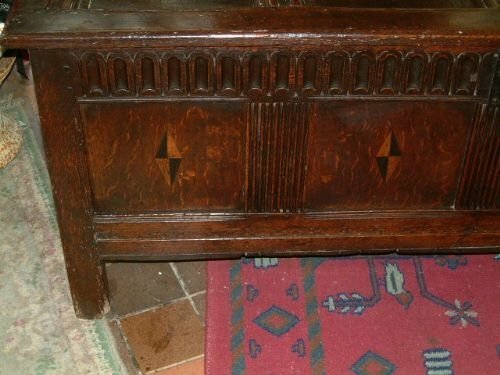 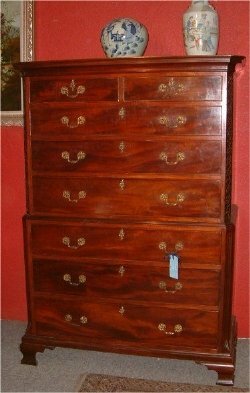 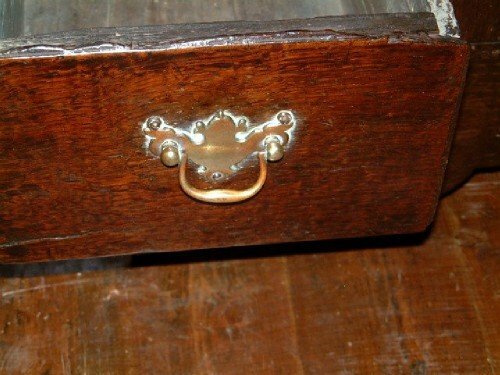 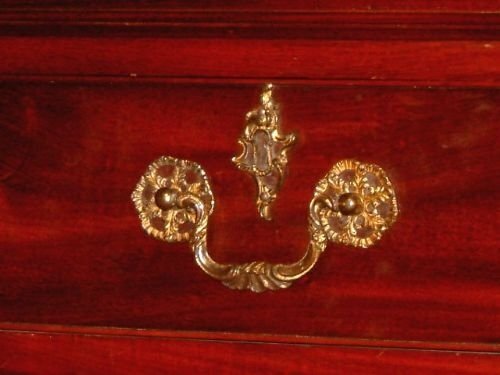 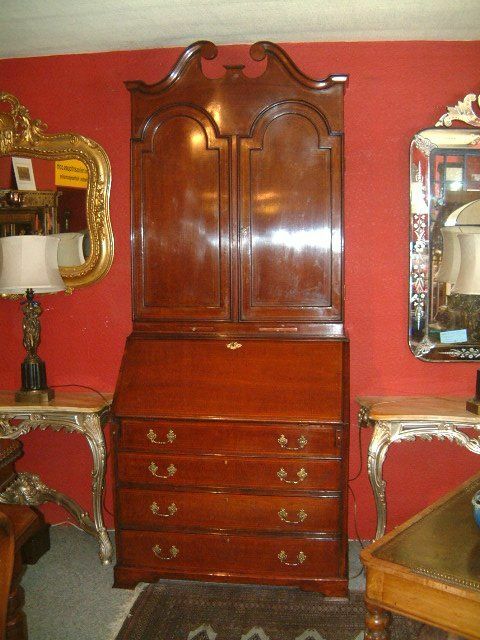 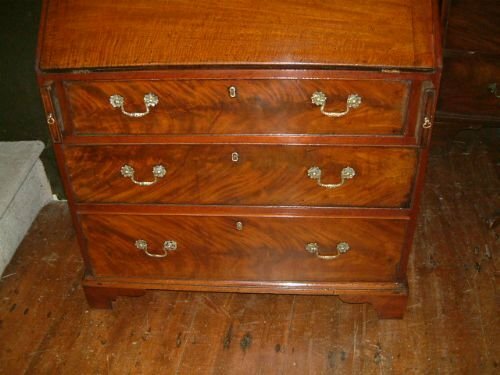 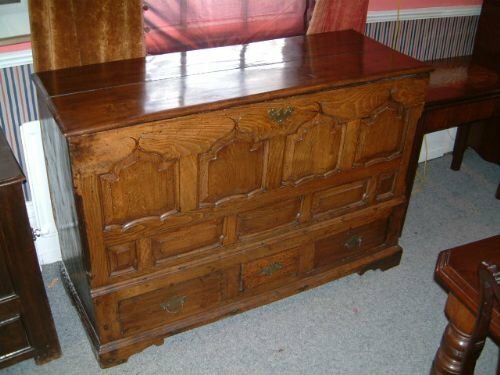 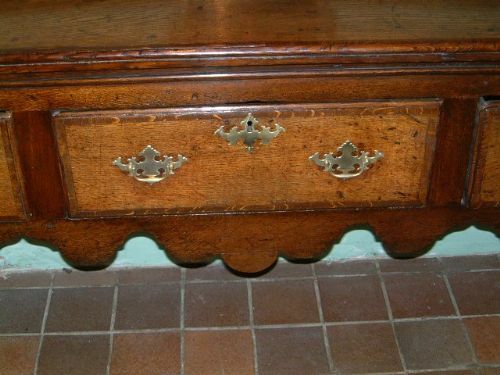 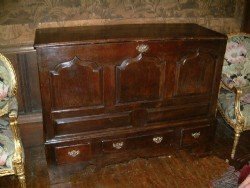 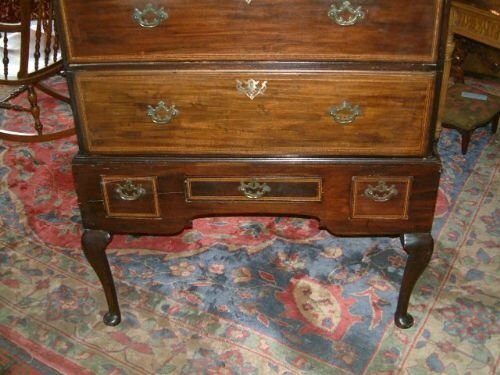 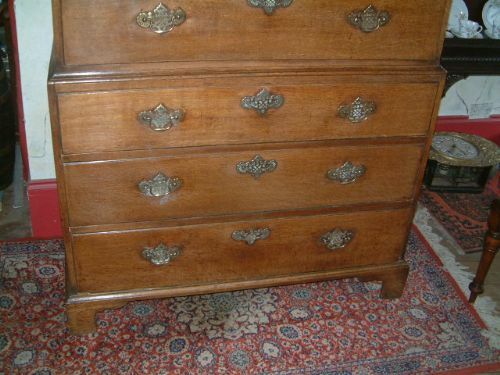 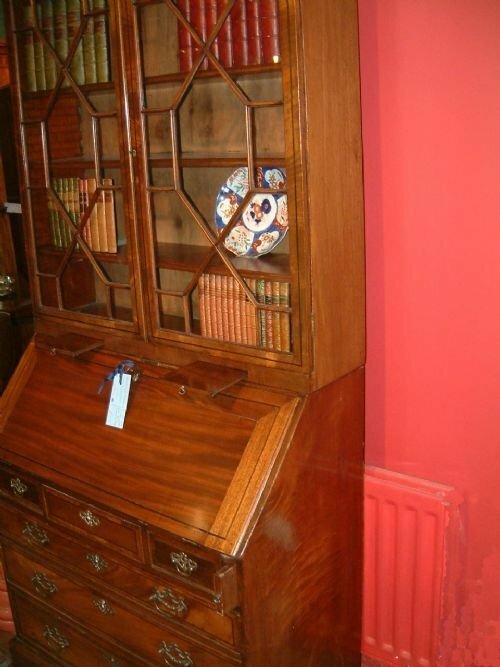 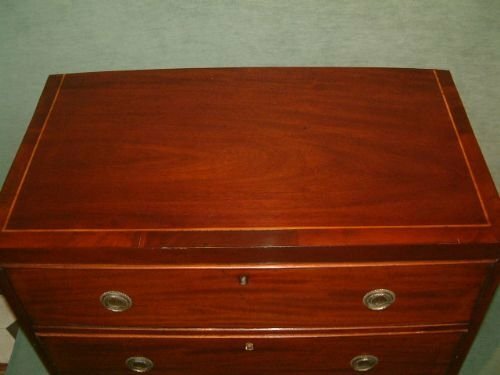 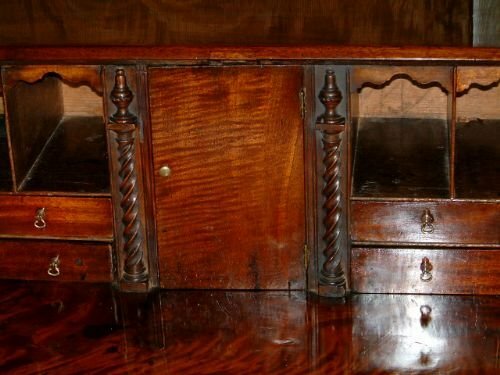 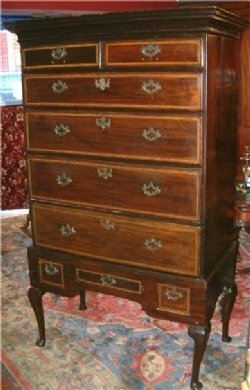 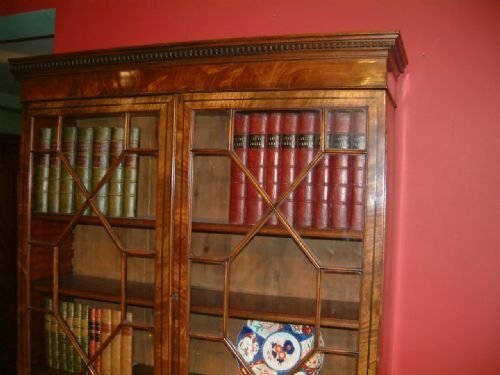 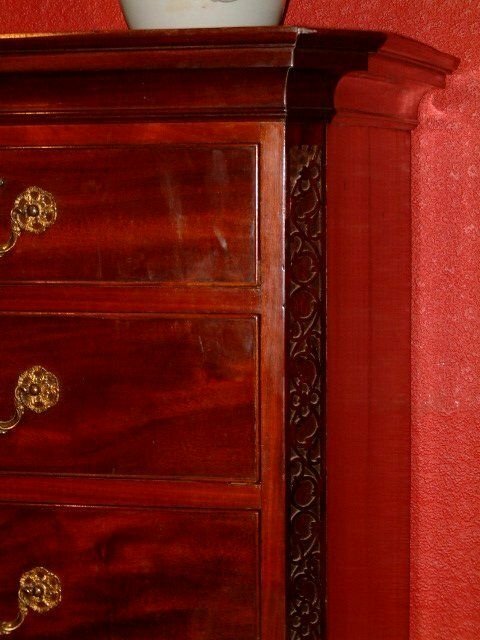 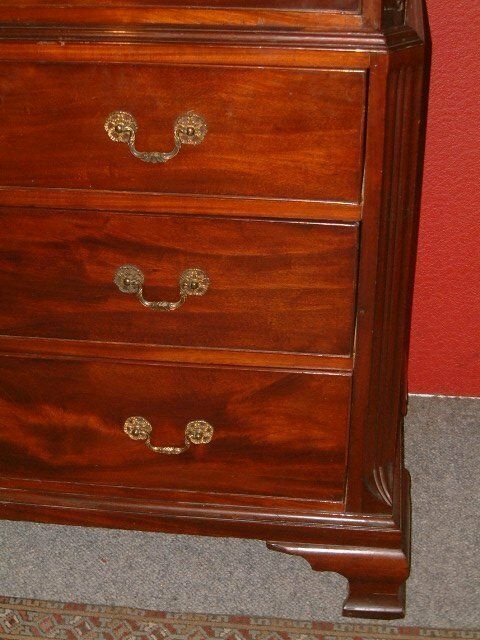 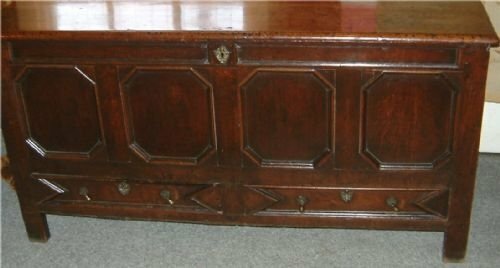 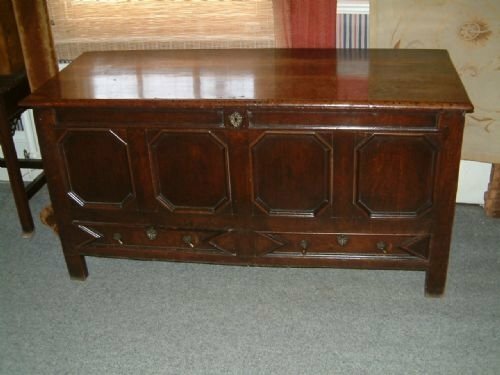 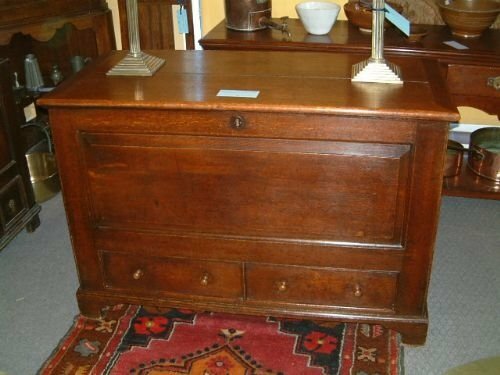 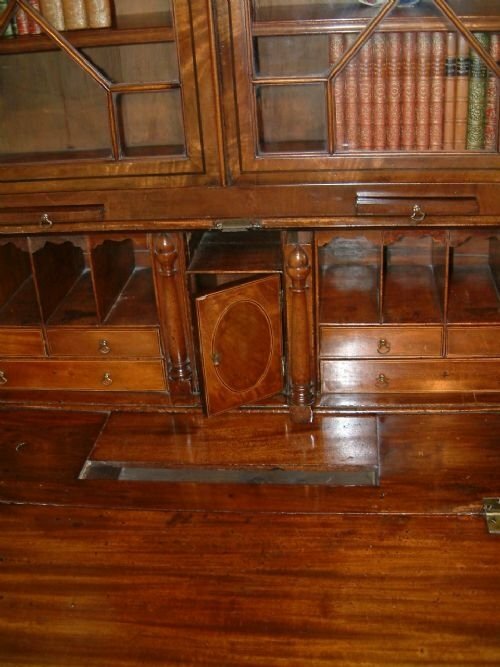 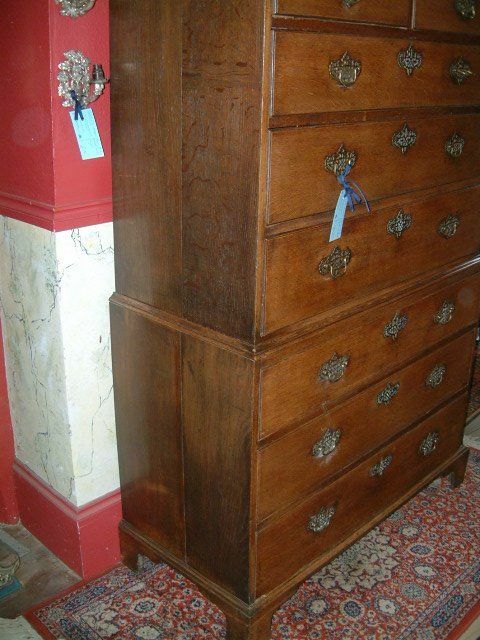 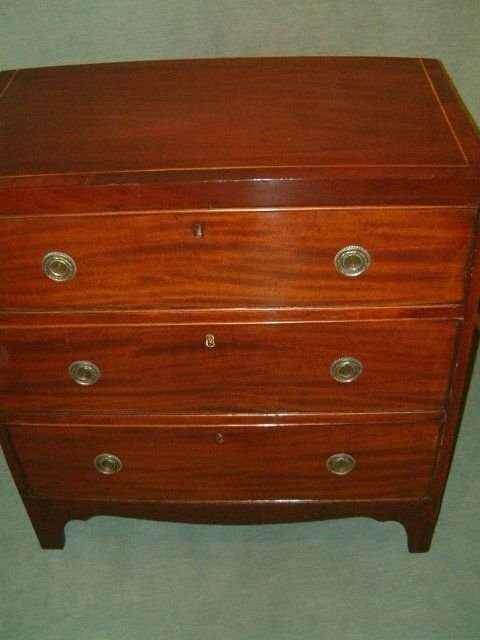 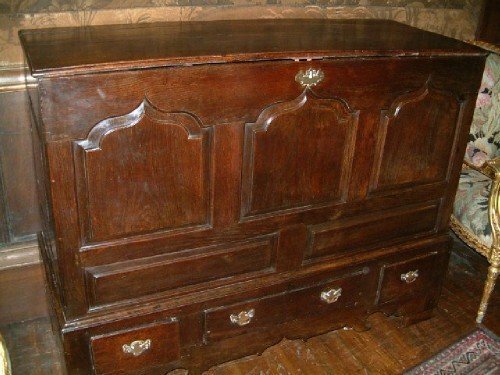 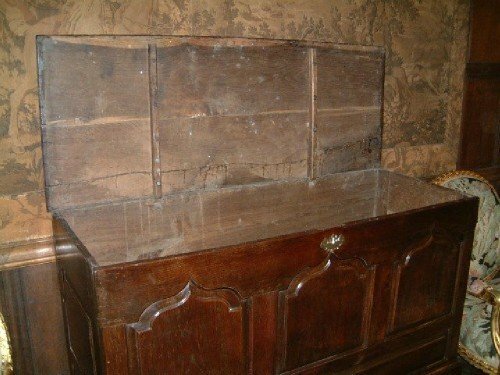 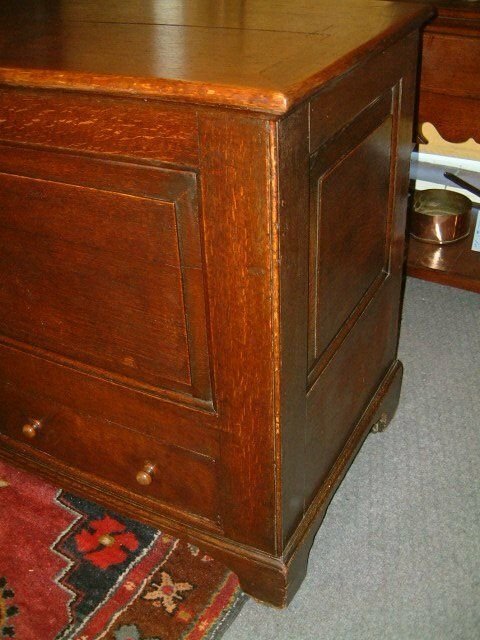 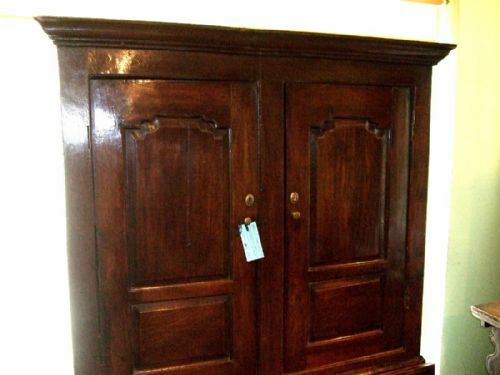 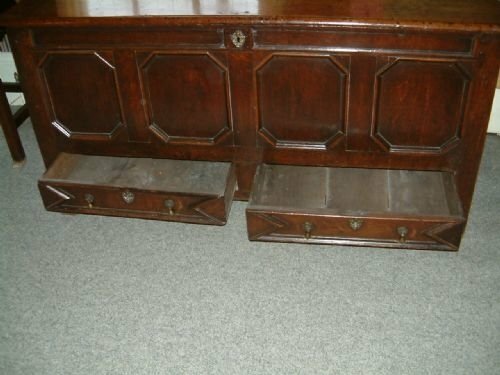 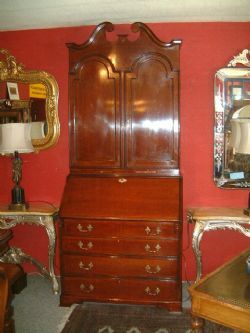 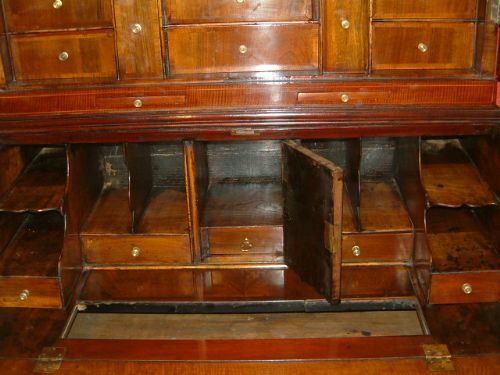 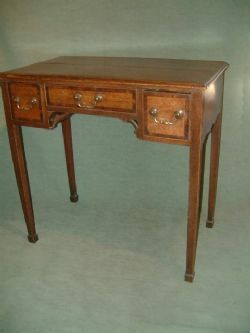 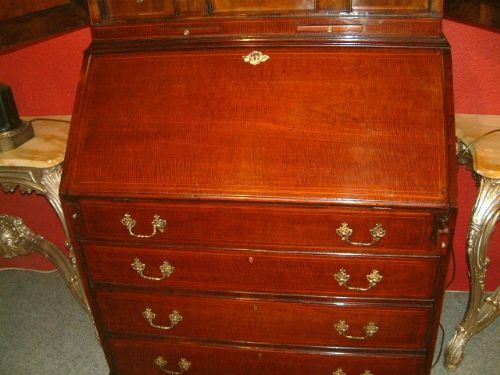 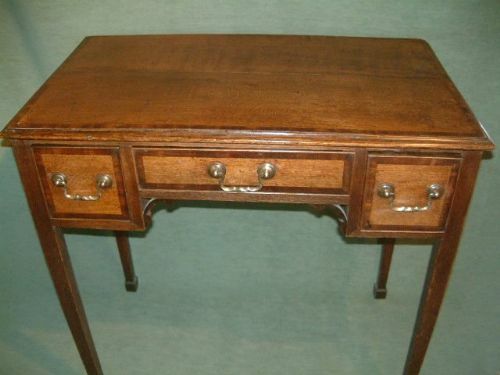 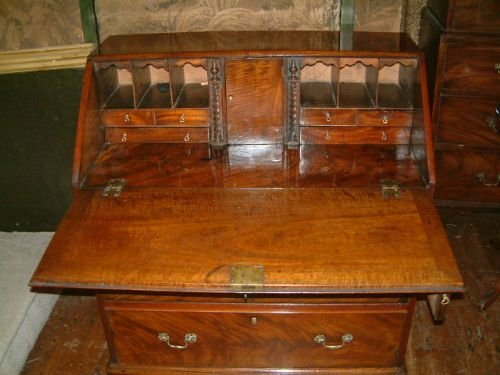 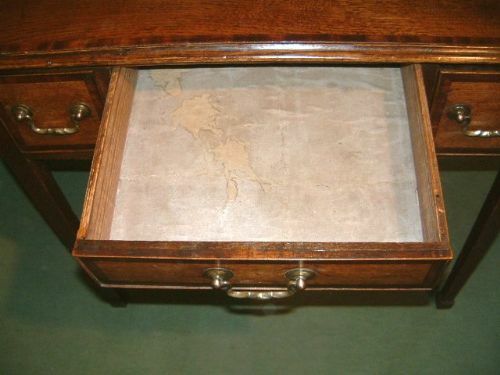 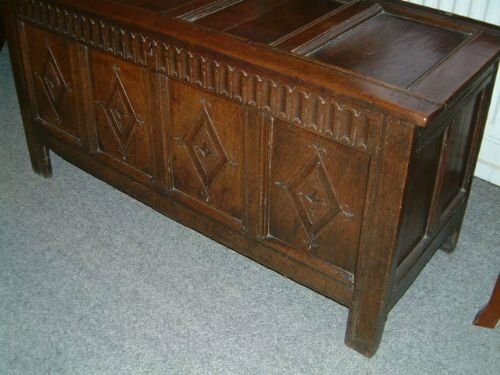 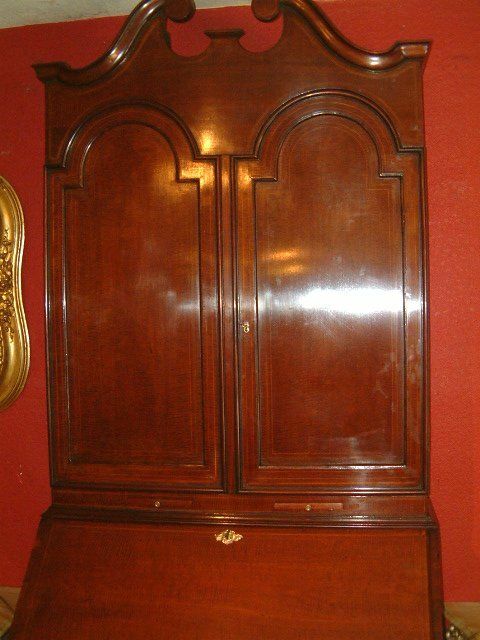 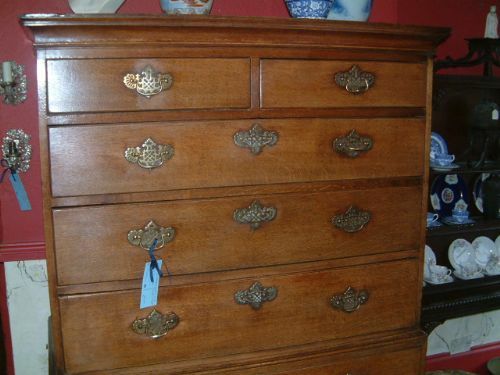 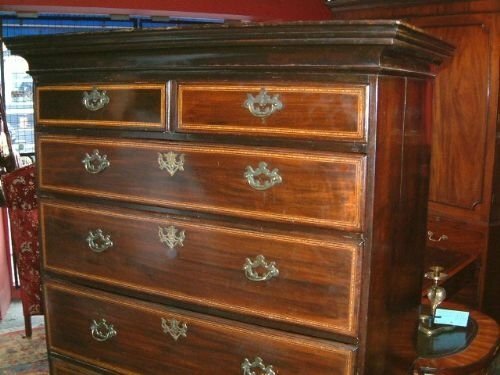 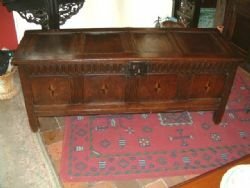 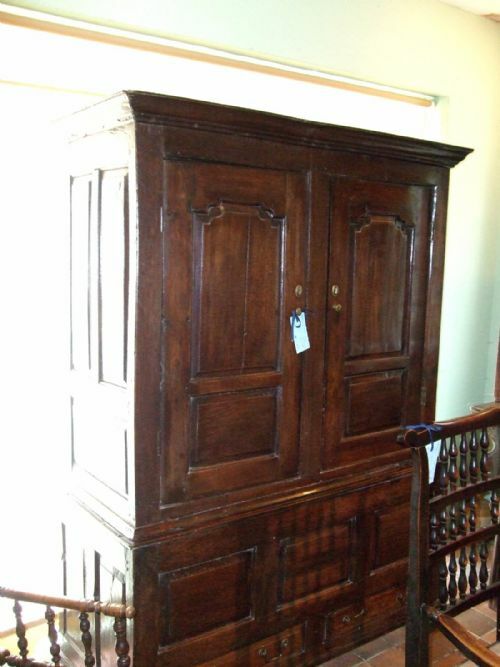 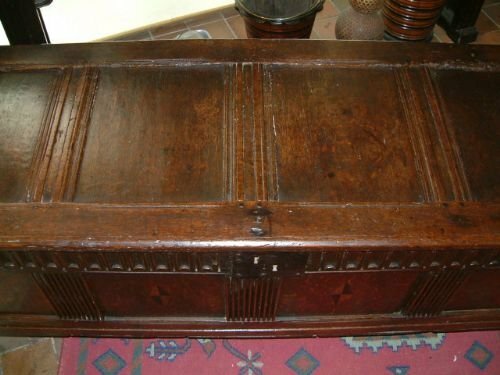 18th Century Mahogany & Inlaid Chest Stand Nice Rich Colour Mahogany the Moulded Cornice above Two Small & Four Graduated Long Drawers above the Stand with Two Small Drawers & one Longer Central Drawer, Supported on Cabriol legs with Pad Feet, Stand & Inlay Possibly Later. 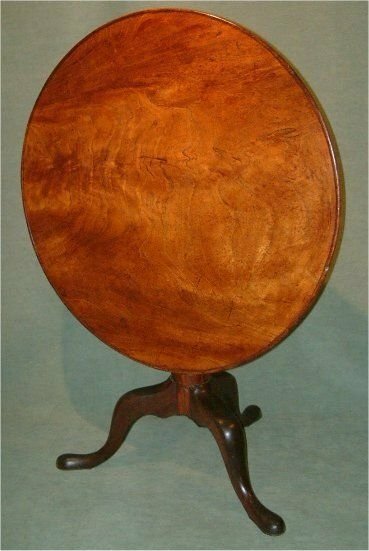 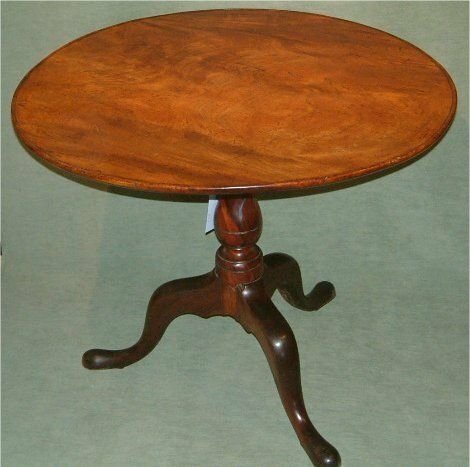 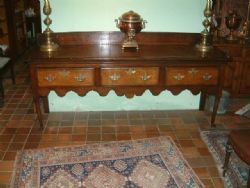 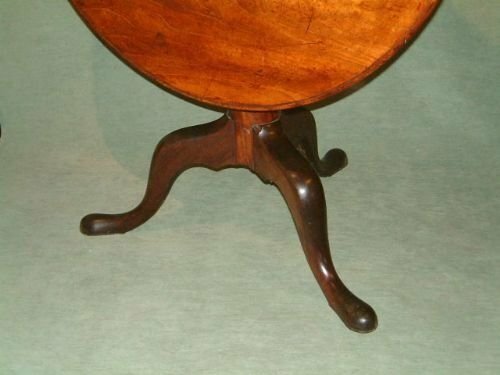 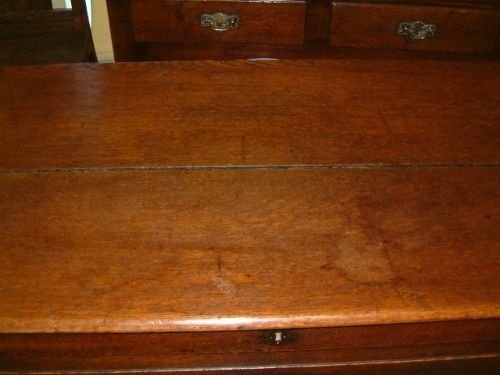 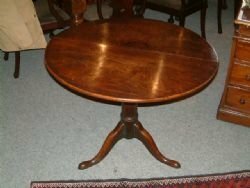 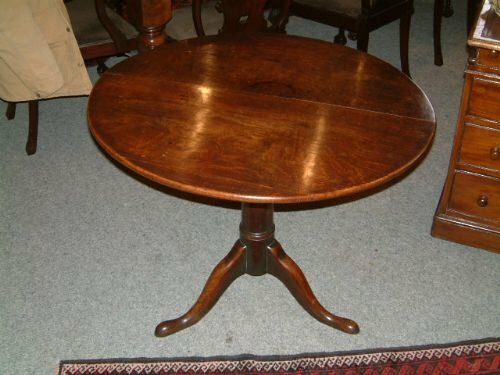 18th Century Mahogany Supper Table The One Piece Top with Wonderful Colour & Patination Supported on Elongated Pad Feet. 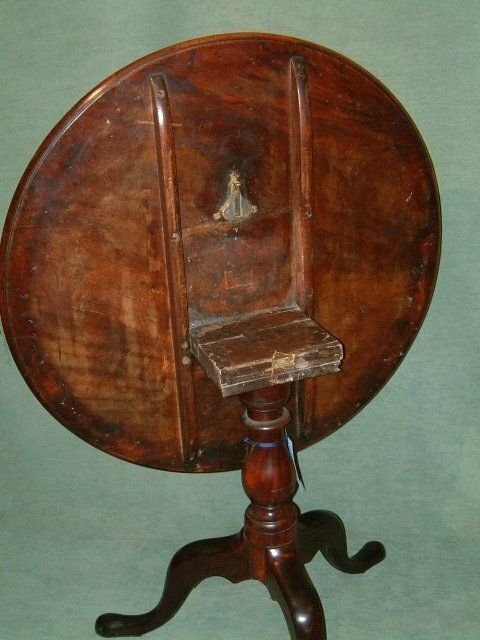 (Slight Dishing). 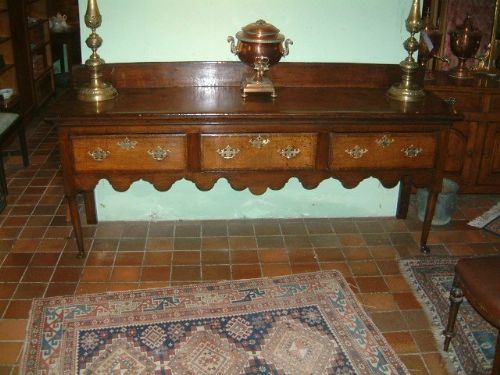 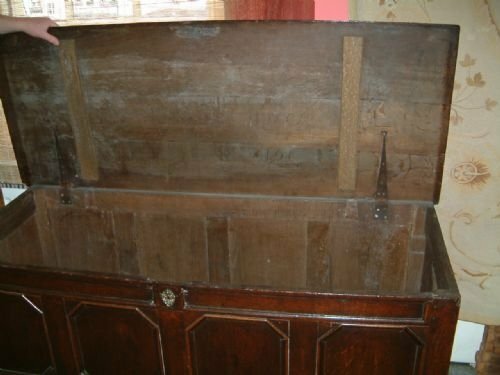 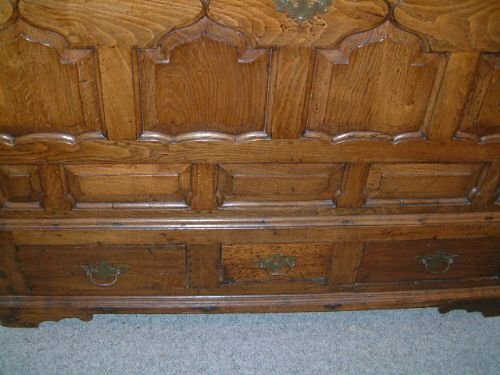 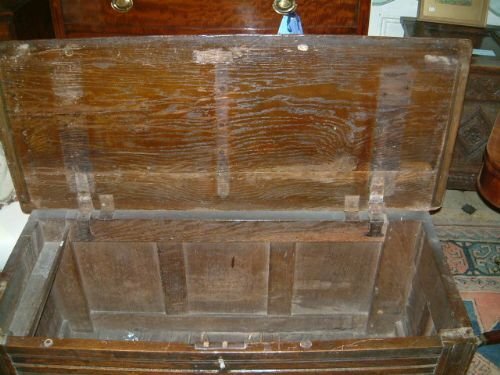 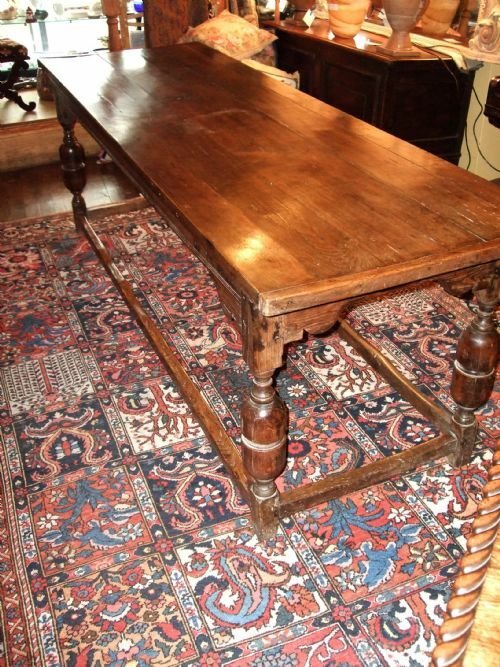 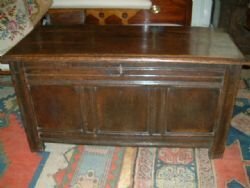 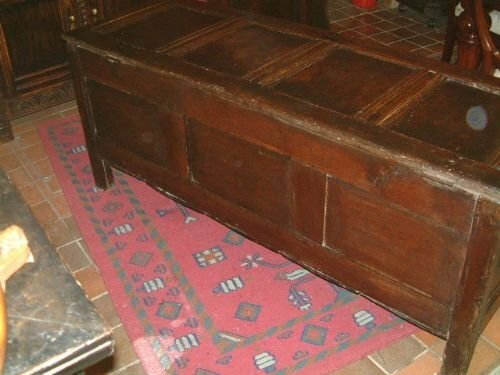 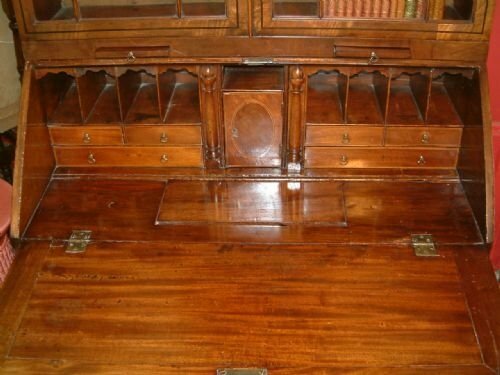 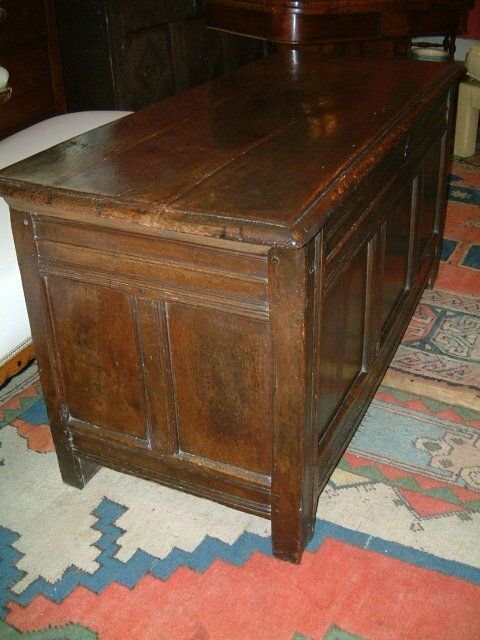 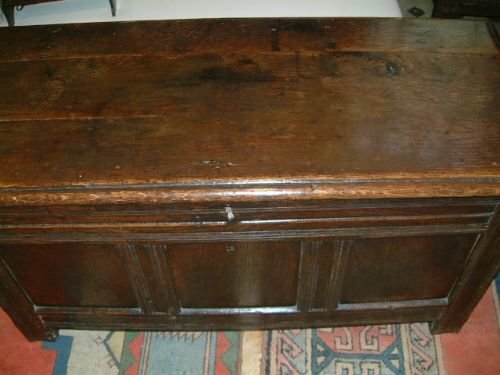 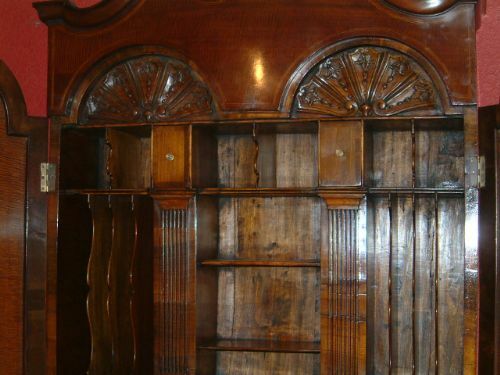 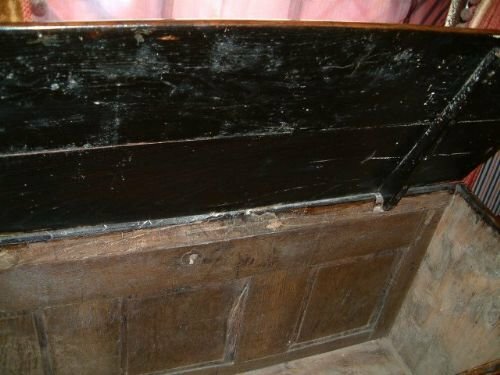 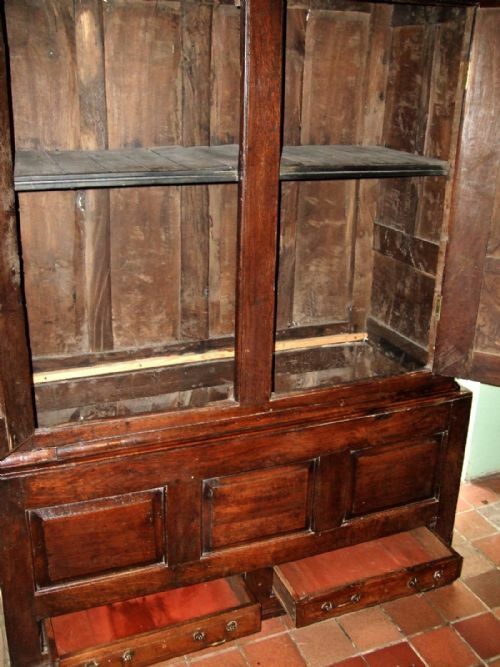 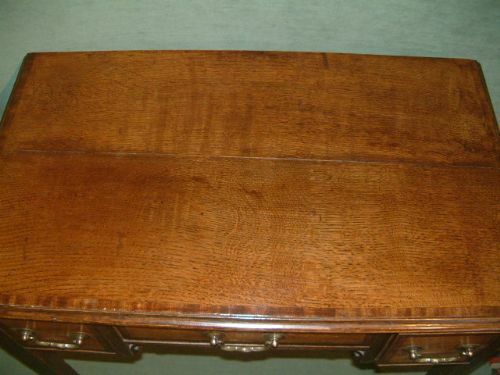 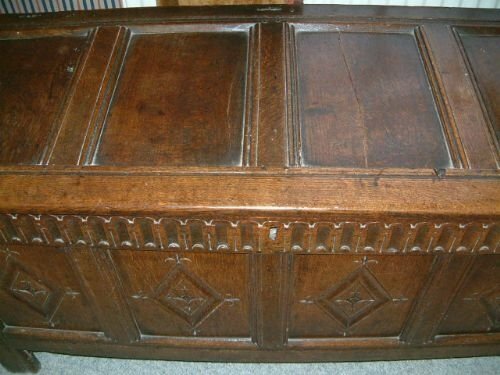 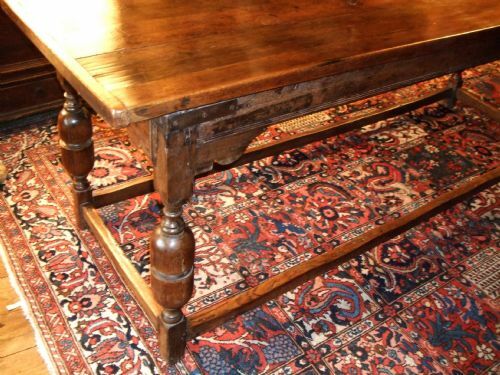 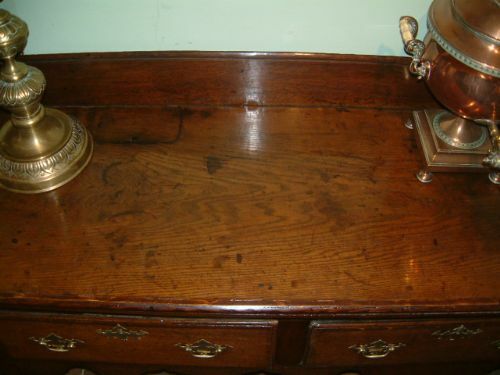 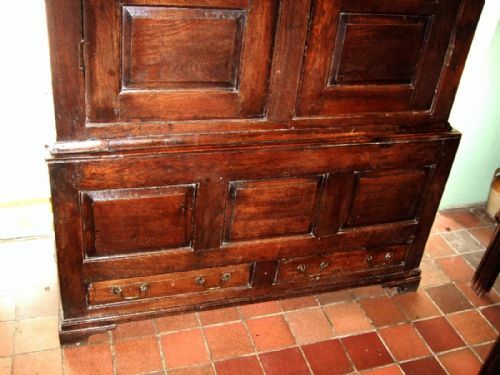 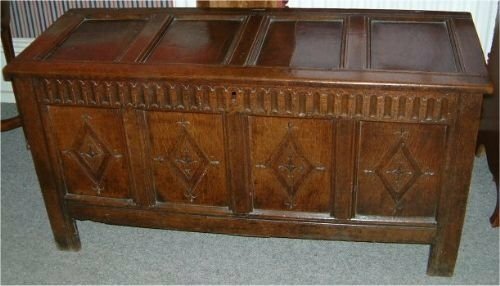 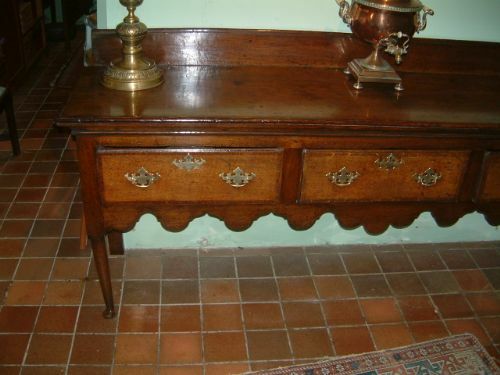 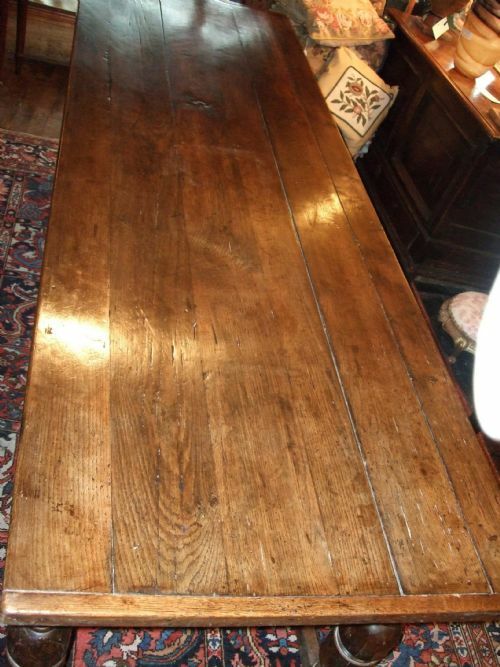 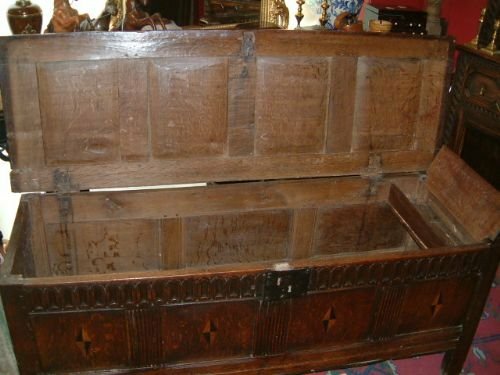 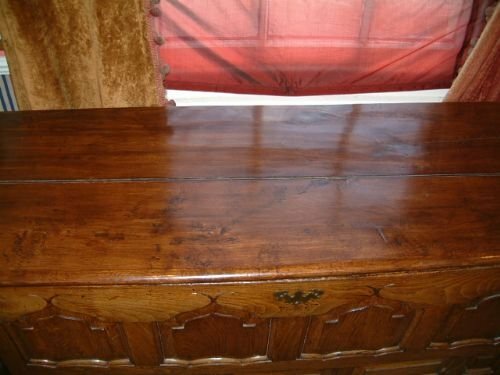 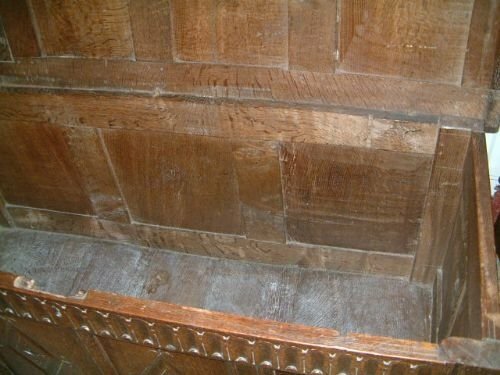 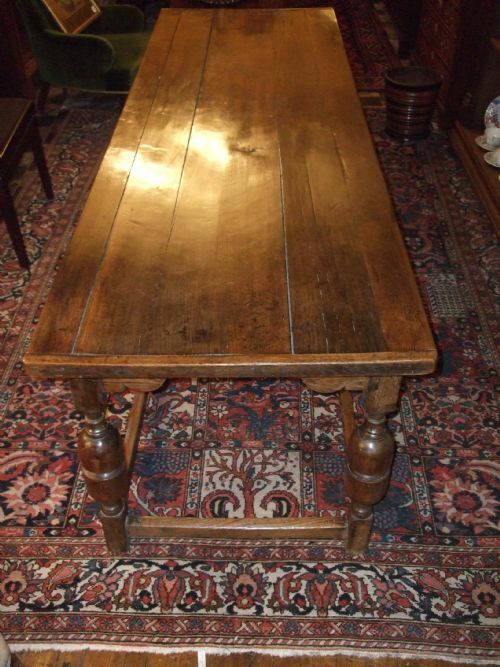 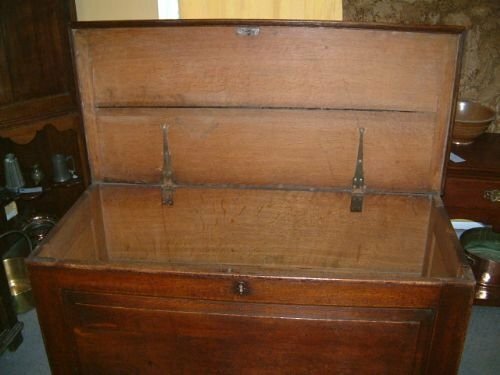 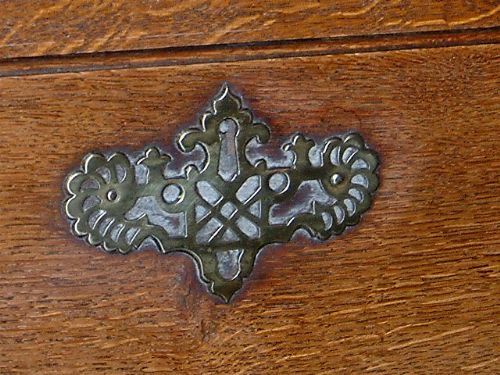 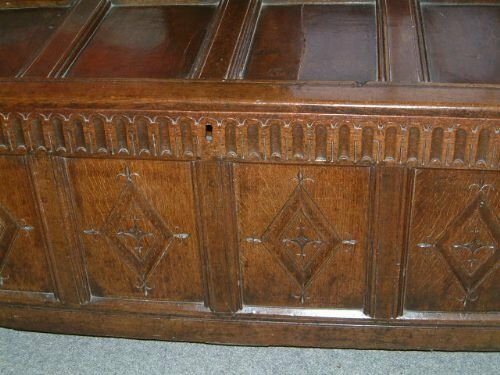 18th Century Oak Refrectory Table. 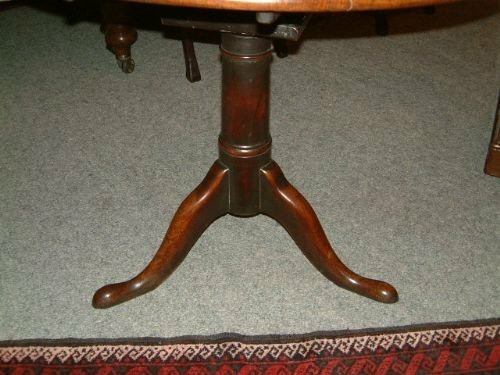 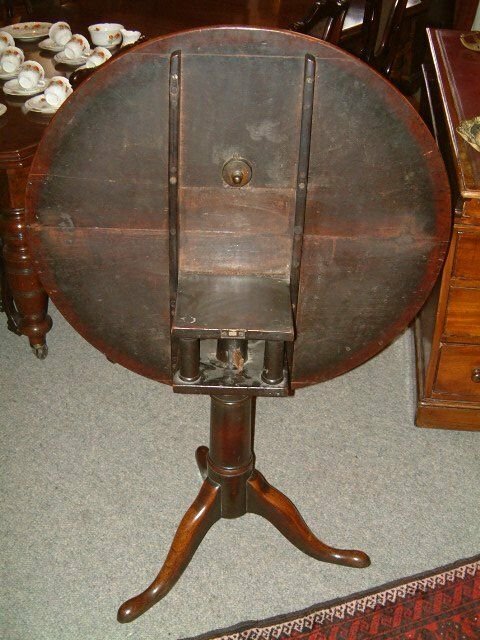 18th Century Oak Tripod Tilt Top Table with Bird Cage Action, Nice Colour & Patination.